Joseph's practice investigates an interest in humour and language, and their ability to engage with areas of slippage and overlap. Since graduating honours in 2006, Joseph has worked across various media, including sculpture, drawing, painting, video, and installation. During this time, he has also experimented with collaboration, sound, performance, writing and music-based events. Joseph's work often develops from an engagement with text and semiotics and a concern with the tropes of the underclass. He is interested in using humour and language to find new ways of understanding how the complex field of intellectual and socio-political contexts impact on the role and expectations of contemporary art. Joseph is also drawn to humour as a possible strategy for deflecting traditional systems of exegesis. 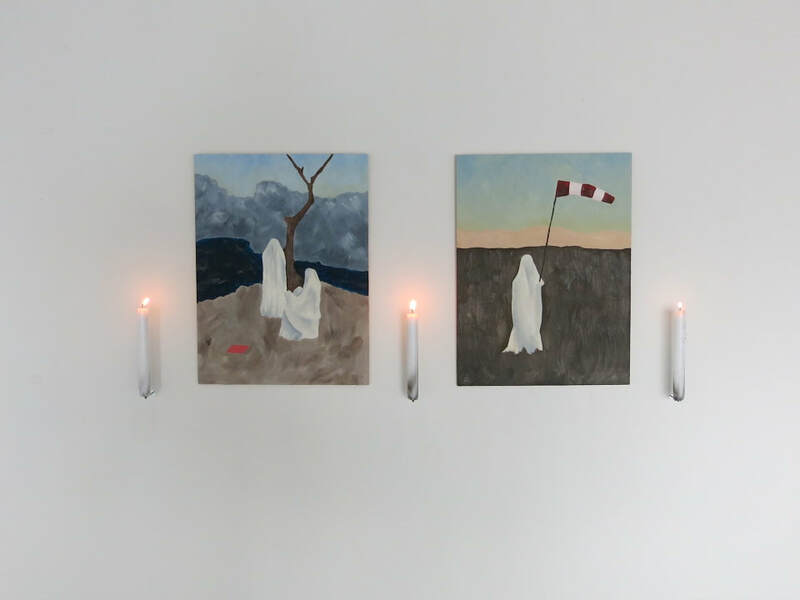 Image details: Joseph Breikers 'No Joke/End Times: A Listening Party' (installation detail) (2017) Oil on Brimsboard, candles, dimensions variable.